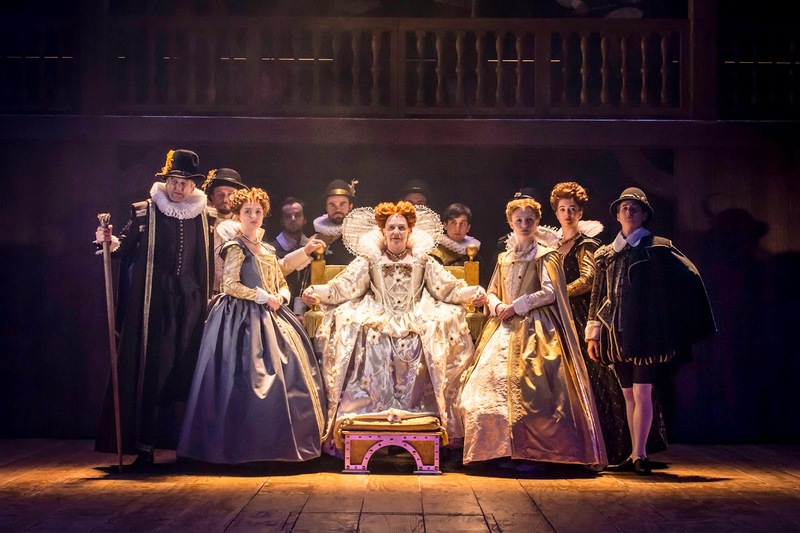 New cast photos from the production of Shakespeare in Love are out. 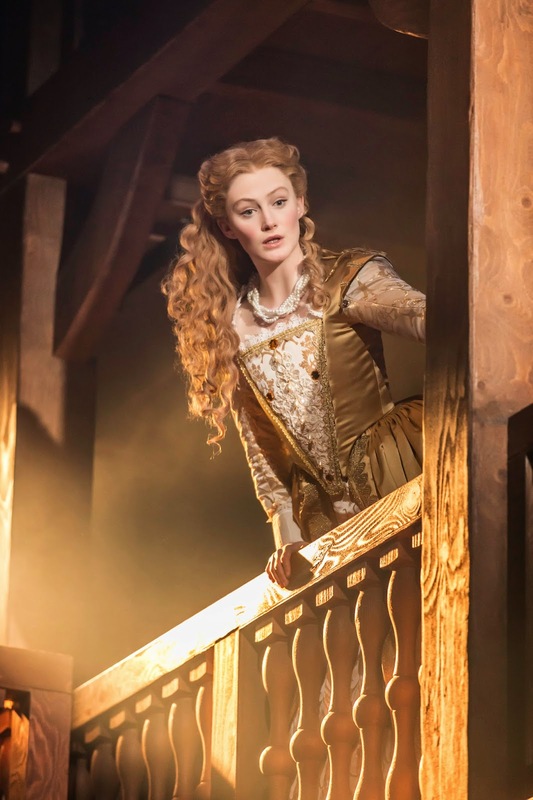 The new cast took over at London’s Noel Coward Theatre on 12 January 2015. 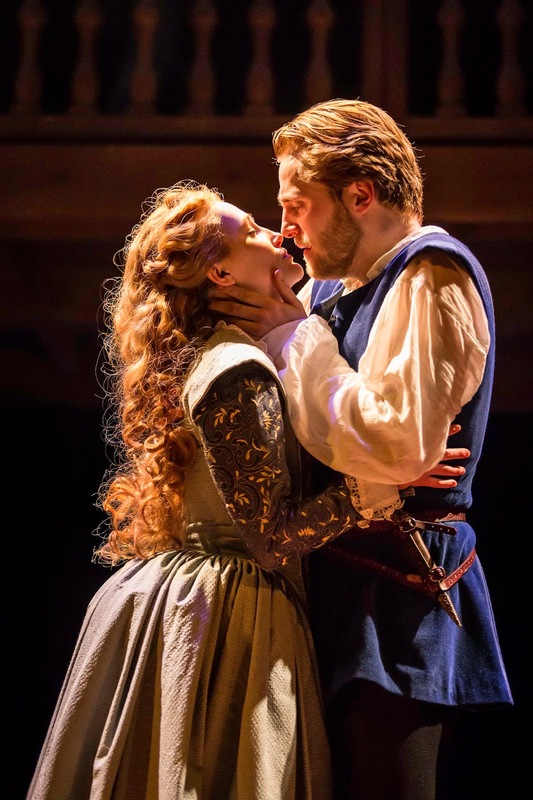 The production’s second company stars Orlando James as Will Shakespeare opposite Eve Ponsonby as Viola De Lesseps. Joining them in the cast, Nicholas Asbury plays Wessex, Neal Barry plays Henslowe, Richard Bremmer plays Tilney and Sir Robert De Lesseps. Paul Brennen plays Fennyman, Suzanne Burden plays Queen Elizabeth, Ryan Donaldson plays Ned Alleyn, Edward Franklin plays Marlowe, Ncuti Gatwa plays Wabash, Gregg Lowe plays Sam, Andy McKeane plays Ralph, Peter Moreton plays Burbage, Joy Richardson plays Nurse, Charlie Tighe plays Nol and Stuart Wilde plays Webster. 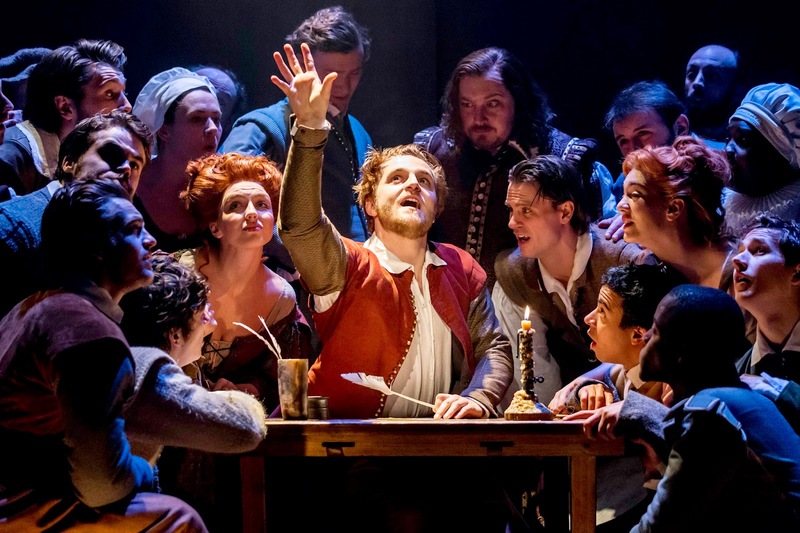 The cast also includes Aaron Anthony, Jonno Davies, Peter Hannah, Nick Hart, Joshua Higgott, Sioned Jones, Sandy Murray, Ellie Nunn, Thomas Padden, Stevie Raine, Elliot Rennie and Florence Roberts. The limited season ends 18 April 2015.